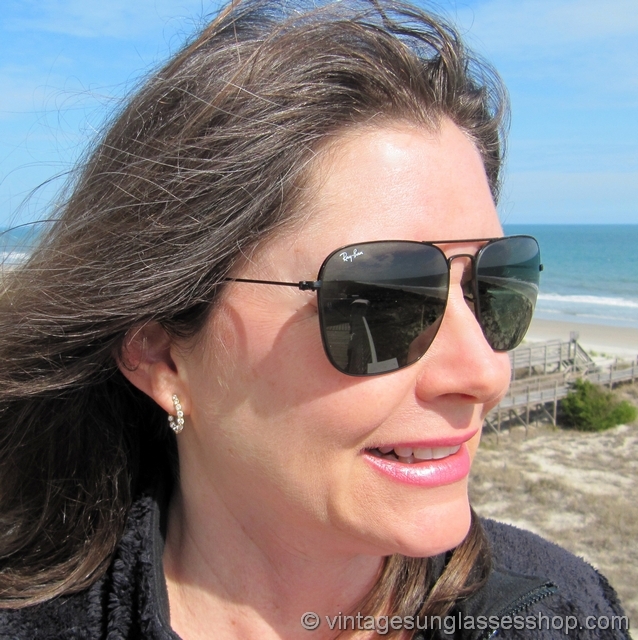 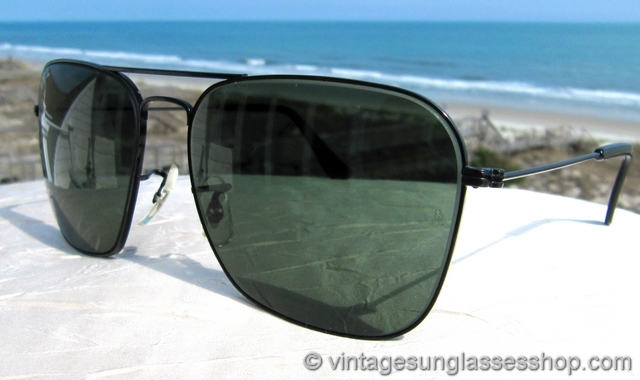 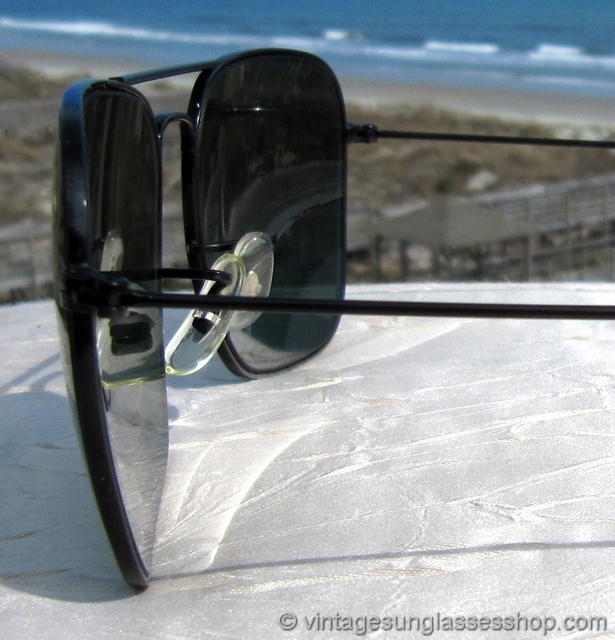 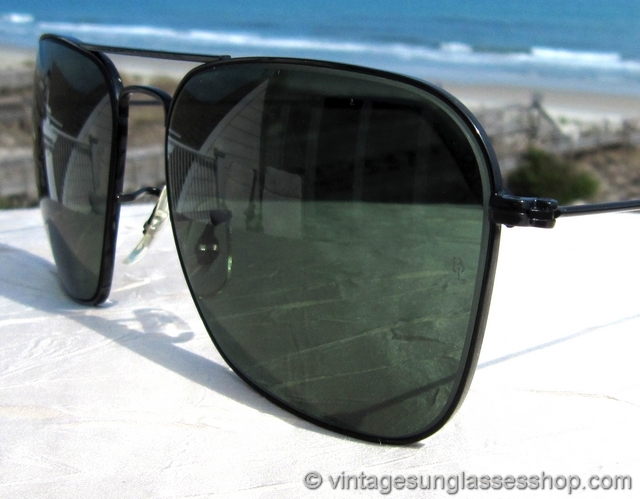 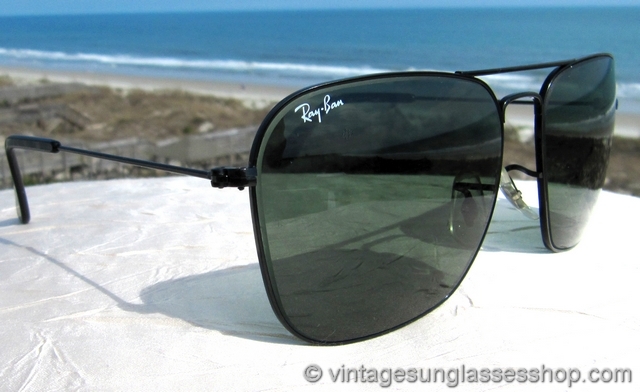 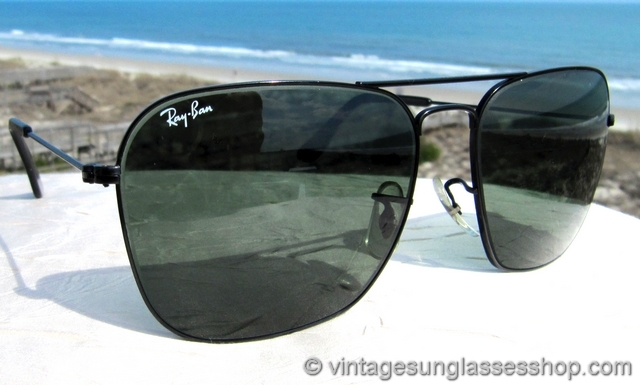 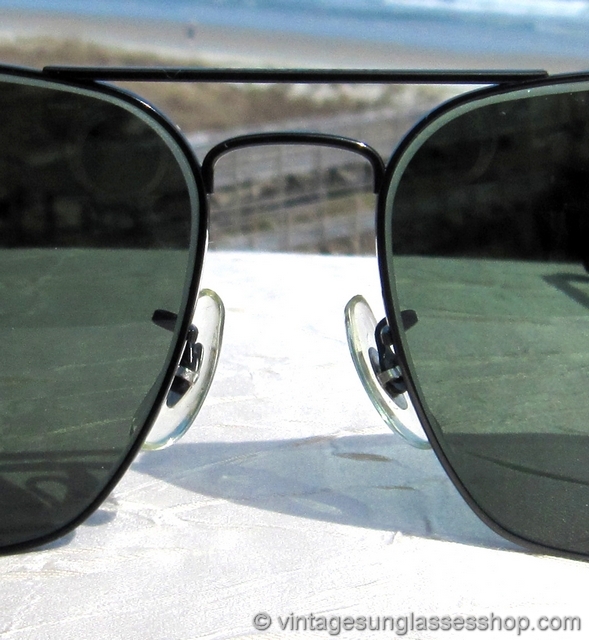 1 Vintage Ray-Ban L0280 black Caravan sunglasses are the black chrome variation of the classic gold plated Caravan, but trust us that you'll see 50 gold plated Caravans for every one pair of black Caravan sunglasses. 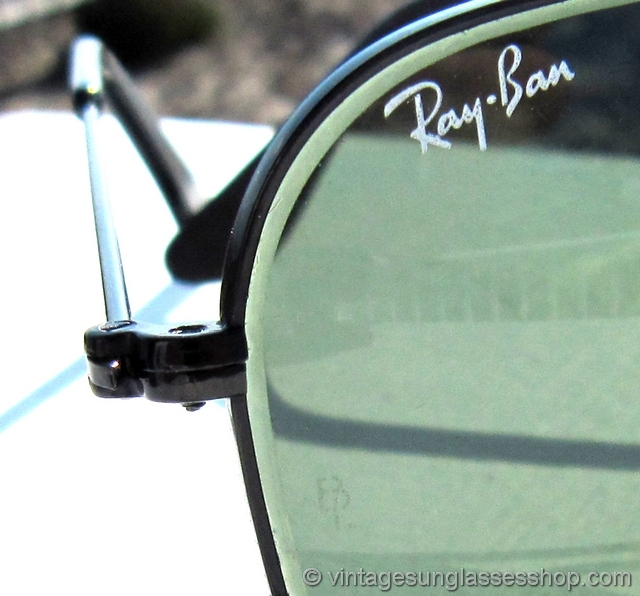 The Ray-Ban Caravan is an iconic design, one of the 2 or 3 styles Bausch & Lomb is best known for producing during their 60 years of stewardship of the Ray-Ban brand. 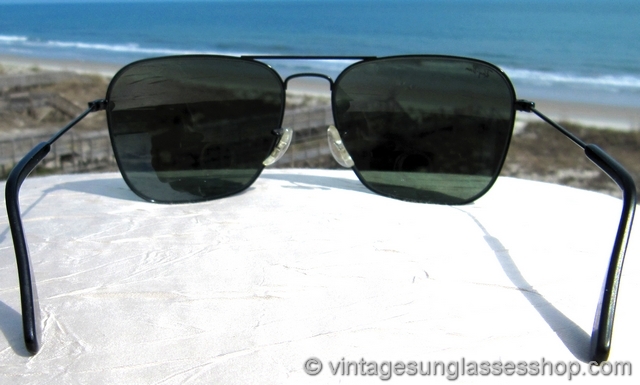 While black Caravans are hard to find in general, it's particularly rare to see them with the Bausch & Lomb RB-3 lenses you'll find in this fine example c late 1980s / early 1990s. 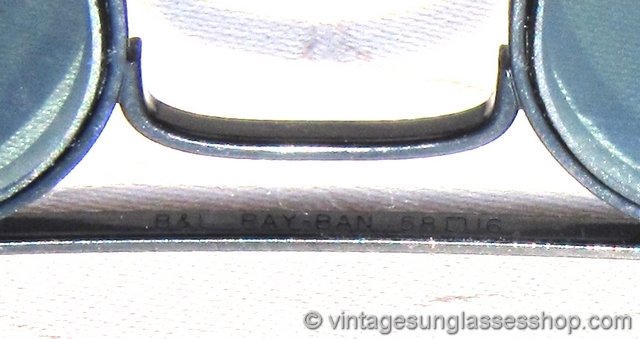 The unisex 58mm Ray-Ban Caravan frame measures approximately 5.5" temple to temple, and the lenses measure approximately 2.25" x 1.75" at the widest points with right lens laser etched Ray-Ban and both lenses laser etched BL near the hinges. 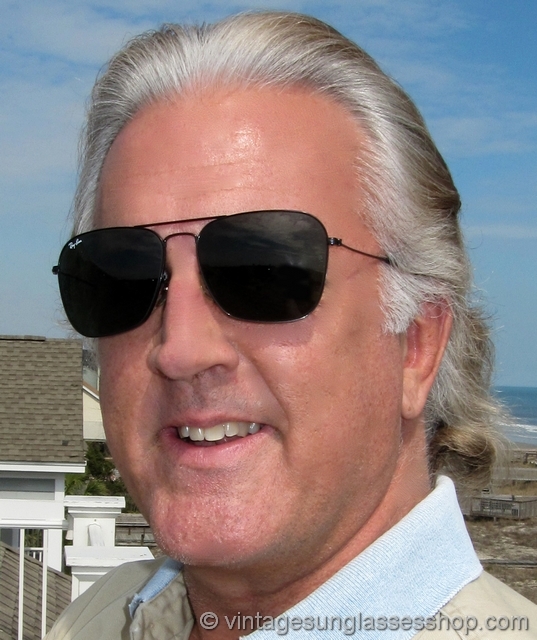 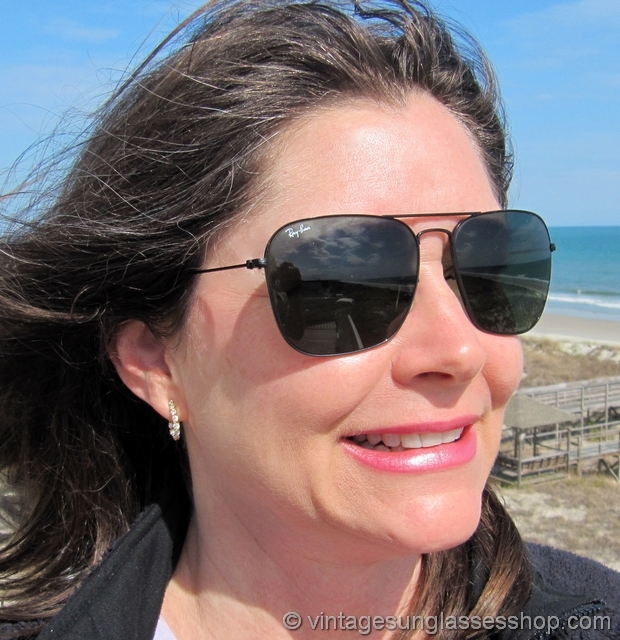 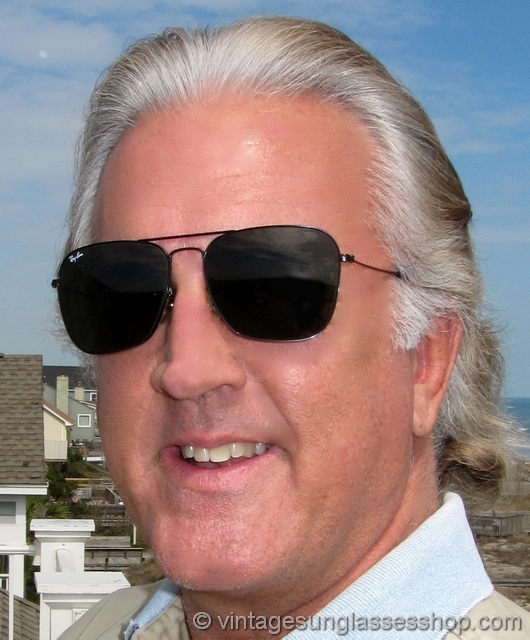 The top of the nose bridge is impressed B&L Ray-Ban USA while the bottom of the bridge is impressed B&L Ray-Ban 58  16 and on some production one ear pad is impressed L0280 VOAS. 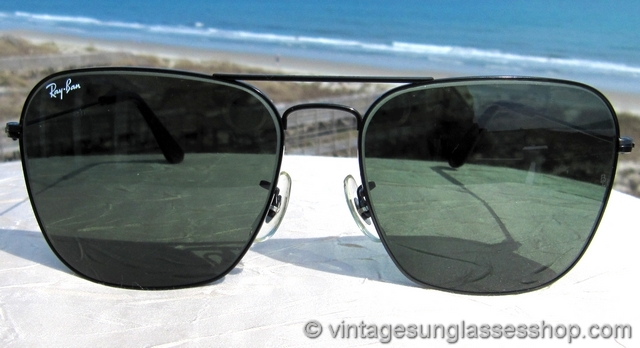 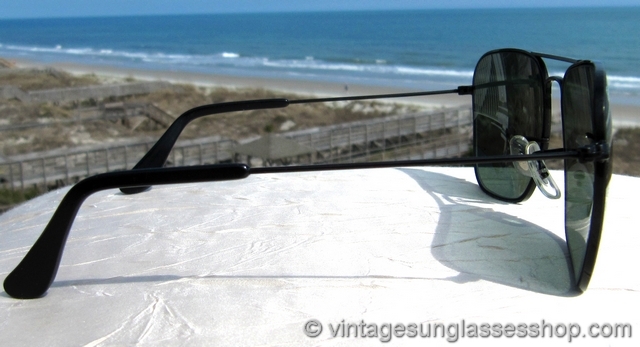 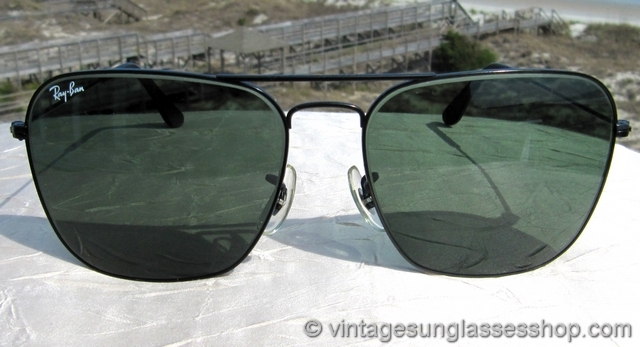 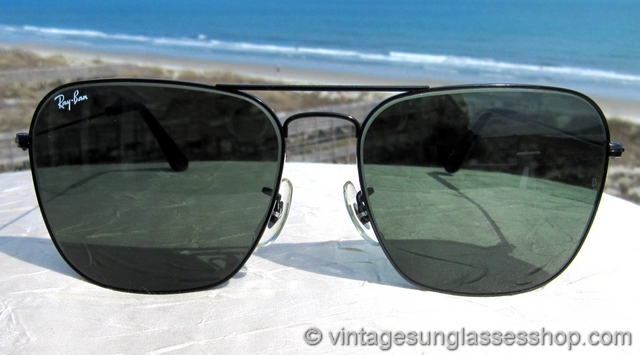 These are new old stock black chrome B&L Ray-Ban Caravans that were part of a great collection of vintage Ray-Ban sunglasses in Atlanta, GA.
2 Step up another level beyond our already unequaled vintage condition standards with Ray-Ban black chrome Caravan sunglasses in mint, unworn condition.